Andhra Pradesh Chief Minister Nara Chandrababu Naidu is touring in Tirupati. During his tour he has went on a surprise visit of Scavengers Colony. He has inquired from local residents about problems in colony. This colony is a slum which has around 300 huts. The residents have told their problems which they are facing to Chief Minister. Chief Minister has assured them that, he will take care of their problems and construct pacca houses. 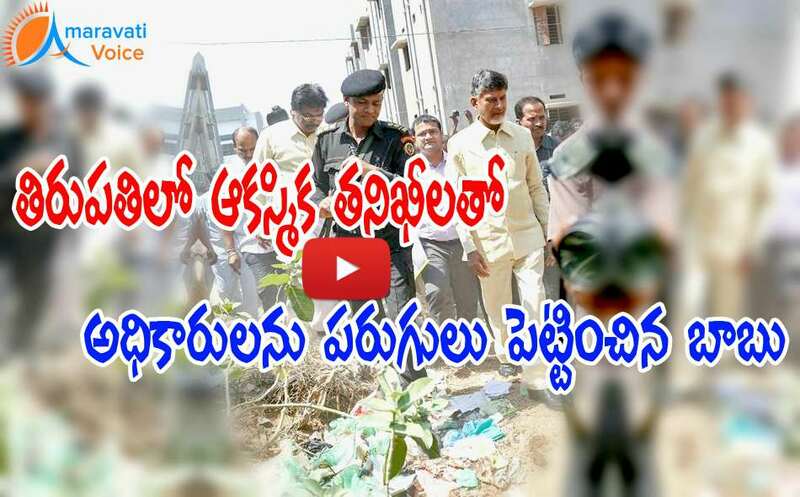 Mr.Naidu has warned the officials, after seeing the surroundings of that colony which is not at all maintained. He has warned the employees to make the surroundings clean. DWCRA women has thanked Chief Minister for waving the dwcra loans. Chief Minister Nara Chandrababu Naidu, is doing a surprise visit, first time in the Tirupati city.